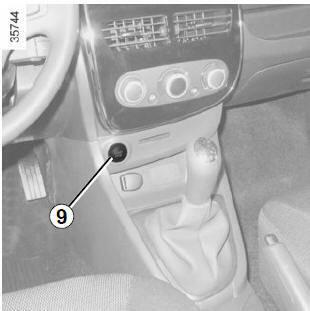 Depending on the vehicle, a buzzer sounds for approximately 10 seconds every 40 seconds, as long as the vehicle is travelling in excess of 72 mph (120 km/h). 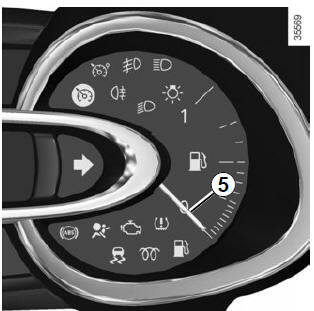 When the engine is started, display 3 alerts the driver when the oil level is at its minimum. 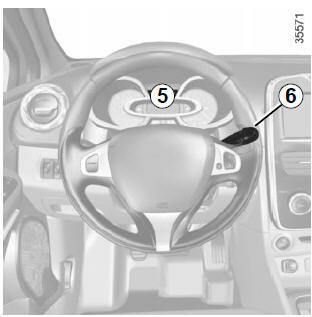 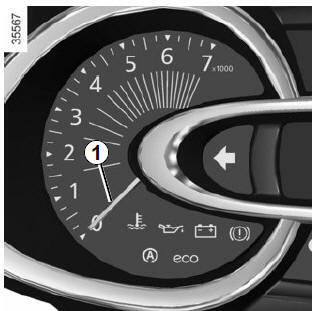 Refer to the information on the “Engine oil level” in Section 4.
the speedometer unit indicator flashes for approximately ten seconds, then the new unit is displayed: release button 7 or 8 when the unit stops flashing. 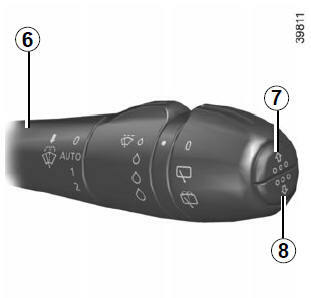 To return to the previous mode, repeat the same operation. 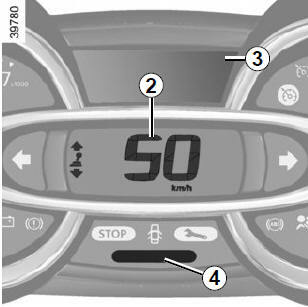 Note: once the battery is switched off, the trip computer and warning system automatically returns to the original unit of measurement.